We are offering free one day tickets to a few lucky winners to enjoy a tropical island experience this summer at the Living Rainforest. Explore the plants and sea life of tropical islands in our small islands exhibition. Learn about the people who live on tropical islands, and try out their traditional crafts and costumes. Then relax outside and enjoy tropical fruits or a refreshing cool drink. If you’d like the chance to win simply email competition@livingrainforest.org by Wednesday the 8th August and you’ll be entered into the competition. In your email please let us know your name and how many people are in your group (up to four). Look out for an email on the 9th August if you are one of the lucky winners. Visiting the rainforest may not seem like an obvious choice on a hot day, but we think you’ll be surprised! The luscious plants give shade and a cooling feeling, and the glasshouses are usually no hotter than outside in the warm weather. Our café serves delicious ice creams, cool drinks and salads to help you stay cool too. Each day we will have crafts and family games from 11am to 3pm. 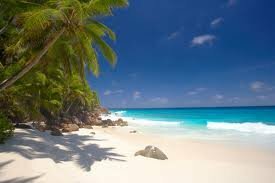 This week children will be willow weaving and exploring masks and traditional costumes of tropical island communities. You’ll have the chance to watch our Goeldi’s monkeys feeding time at 12.30pm, or go on one of our fascinating guided tours at 11.30am or 1.30pm. On most days we also have an animal talk at 3pm. 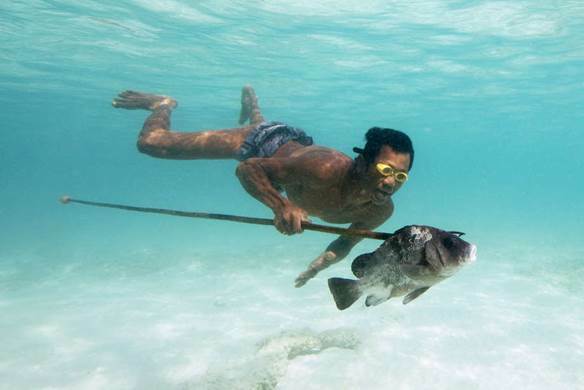 The Bajau ‘sea nomad’ community are expert free divers – diving to depths of more than 230 feet with only a weight belt and a wooden mask. Learn more about them them at the Living Rainforest. This week visitors will be able to learn about tropical island communities. Find out more about the last surviving community of sea nomad ‘Moken’ people from Thailand and Burma, who traditionally spent most of their lives at sea on houseboats. We’ll also be looking at the issues affecting oceans from plastics to global warming, and exploring some fun and practical tips to help save our seas. We’d like your ideas too, so join in the conversation and let us know what you think in our ‘dream big’ box. Winners will be randomly selected on the 6th August and the winners notified by email. Entries to the competition can be made for groups of up to four people. The competition winners will be offered free tickets for a group of up to four people to visit for one day between the 8th August and 2nd September. Only one competition entry is allowed per person.